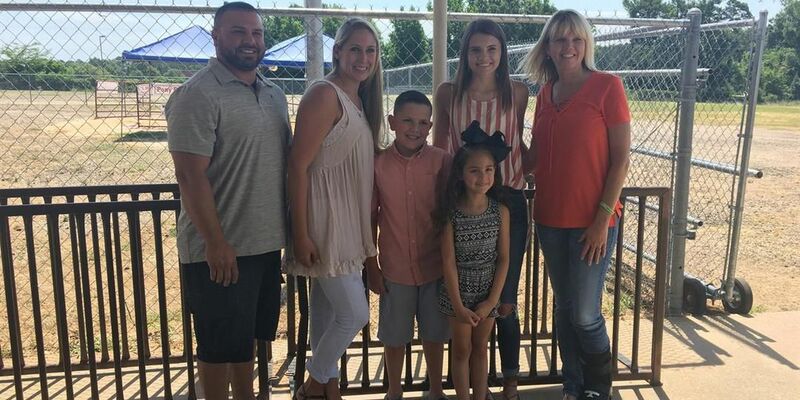 GLADEWATER, TX (KLTV) - Two young East Texans became friends recently at the Gladewater Rodeo because of a medical device. Nine-year-old Ethan Bradberry and 16-year-old Abby Daniel attended the rodeo for the food and entertainment. But what they left with was worth so much more. The pair were complete strangers at first but one small device made them instant friends. "It changed my life cause I've never met anybody else with the same Dexcom," Bradberry said. The medical device know as Dexcom is a continuous blood sugar monitor used by people with type one diabetes. Daniel was diagnosed back in September 2017. Before she met Bradberry, she said she was still adjusting to wearing the new device. "Everything has changed, like it was this simple little situation, [but now] I'm not afraid to wear it out; I'm not afraid to show it," she said. Daniel's new friend inspired her to take to social media to share their story and be more open about diabetes. It didn't take long for people across East Texas to take notice as well. "It's heartwarming, because it is a rarer form of diabetes, so we don't generally run into people who have type one," Executive Director of Longview Type One Diabetes Foundation Amber Hobbs said. "So it's exciting when you find someone who understands what you're going through." Hobbs said of the entire population of people with diabetes, only about five percent have type one, showing just how rare Bradberry's and Daniel's encounter really is. On Saturday June 23, the Longview Type One Diabetes Foundation is organizing a workshop to educate the public about a dynamic approach to diabetes management at Pine Tree Church of Christ from 10 a.m. - 4 p.m.